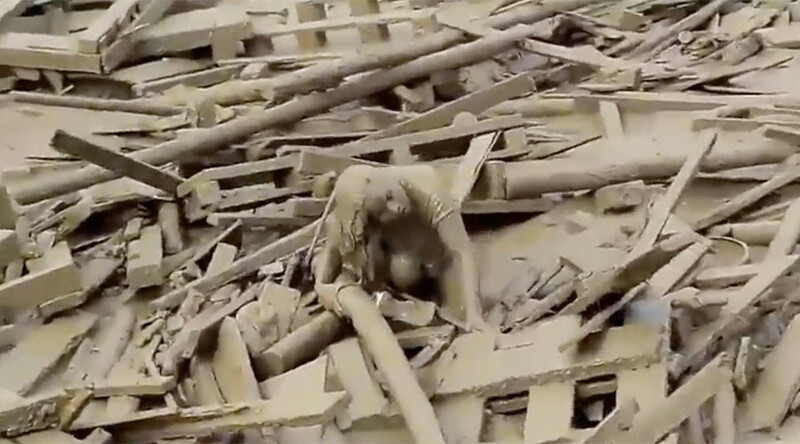 A woman’s dramatic attempt to escape a raging mudslide was captured on camera in Peru. Covered in mud and enveloped in debris, the woman crawls her way to safety as her surroundings are swept away. Video from Punta Hermosa in Lima Province shows the woman climbing over debris in an attempt to reach solid ground. She eventually gets to safety where she receives help from rescuers. Heavy rainfall across Peru has caused flooding in several of the country’s regions. According to Reuters, 48 people have been killed, including six miners who died as the result of a mudslide.